Schizoid, androgynous, curious rum. Too well made to ignore, but not appealing enough to collect. Right during the tasting, before I had done a single bit of research or perused the label beyond the obvious, I looked at my glass, smacked my not quite toothless gums and opined loudly and dogmatically (if not quite coherently) to an empty house that this was a rum from the Foursquare distillery in Barbados. You might well ask whether my snoot is that good (it’s not), my memory that clear (it’s not) or I knew it for sure (I didn’t). 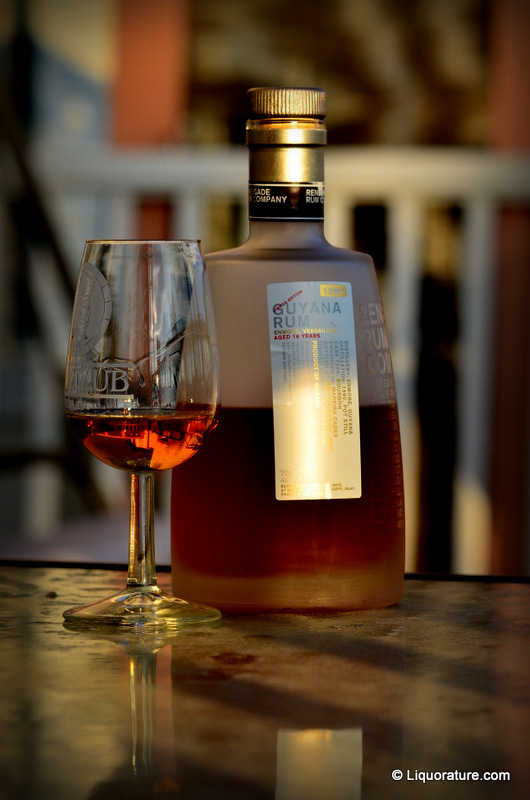 It was more a process of elimination from the Bajan rum canon – it was too clear taste-wise — and not soft enough — to be a St Nicholas Abbey, lacked the discombobulated, raw nature of the Cockspur and sure wasn’t a Mount Gay. That didn’t leave much, no matter how or with what cask Renegade decided to finish it. Take the opening: soft, flowery, dark sugars, bananas and unsweetened dark chocolate. A bit sharp (it was bottled at 46%, so, okay). Red grapes just starting to go off, bananas, orange peel (not anything sharper like grapefruit or lemon), and a final flirt of cherries, yet overall, the scents married uneasily, resulting in something vaguely androgynous, neither strong or puissant enough to be a bellowing buccanneer (it waved the cutlass to genteelly for that) nor weak enough to be an underproof…it was an uneasy mix of delicacy and clarity without strength of real character (did someone say “Prince Myshkyn”?). No relief on the palate, however original it turned out to be. The medium bodied amber spirit was drier than I expected, and even a bit briny, and pulled an interesting rabbit out of the bottle…it tasted good enough, full enough, to seem more robust than it actually was. Bananas and white chocolate, a certain creaminess (like unsalted butter, really), white guavas and pecans. I know this sounds odd, but it almost seemed a shade…crunchy. It’s the craziest thing, a sort of dichotomy between the taste and the nose that had heat and citrus-plus-grapes to sniff, yet more settled and softer to sip, finishing off with a sweet, dry exit, segueing into final notes of bananas, apricots and salt biscuits. I have some mixed feelings on the Renegade here, admiring its professional make and the clarity of the various notes, without actually enjoying the overall experience due to a discordance in the overall marriage of constituent elements. It’s not a bad rum at all, just not one I really felt like raving about to any who would listen. Yet I cannot help but admire how Renegade doesn’t really care – they tried for something off the reservation, and they succeeded. It’s original, that’s for sure. Unlike most of the Renegades I’ve tried thus far, the label gave me little to work with on the details (I like knowing as much about a rum as possible when doing the write-up). Nothing about the finishing which Bruichladdich usually likes to trumpet front and center, for example…I don’t know why, so here’s what my research (and the bottle) did bring up. Pot still origin. Finished in Ribero del Duero casks – this is a fruity red wine from north central Spain, which explained something of the profile. 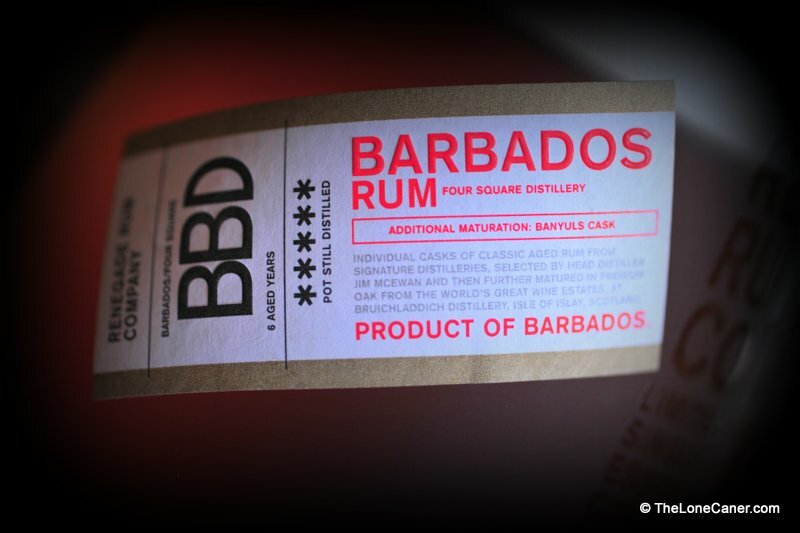 Yes, the Foursquare distillery supplied the rum, so I called it on that one…though it wasn’t until I took a hard look at the label that I saw it self-evidently mentioned. I should get my glasses changed, or perhaps research before I drink, not after. But it’s not that any of this matters, really. 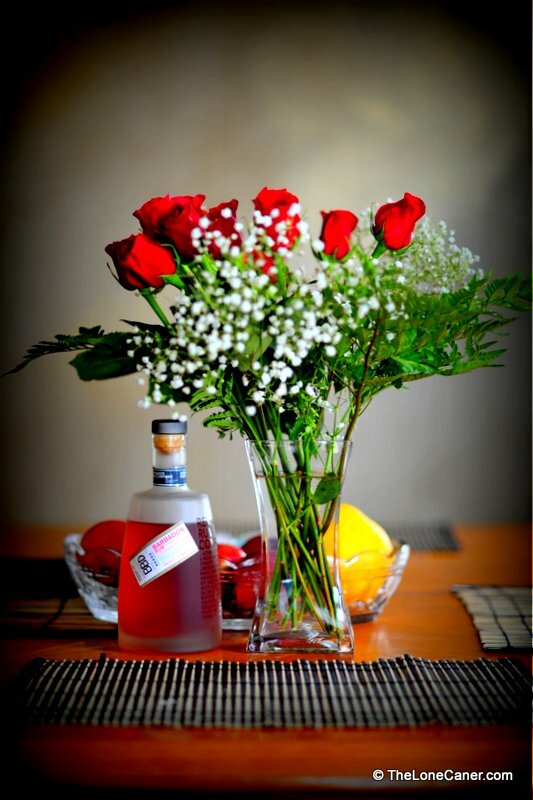 I’ve said before that Renegades are something of an acquired taste, should never be one’s first try at a rum, and are all quite fascinatingly different — this may be, as I’ve remarked elsewhere, because they are made by whisky makers for whisky drinkers with rummies perhaps as an afterthought. 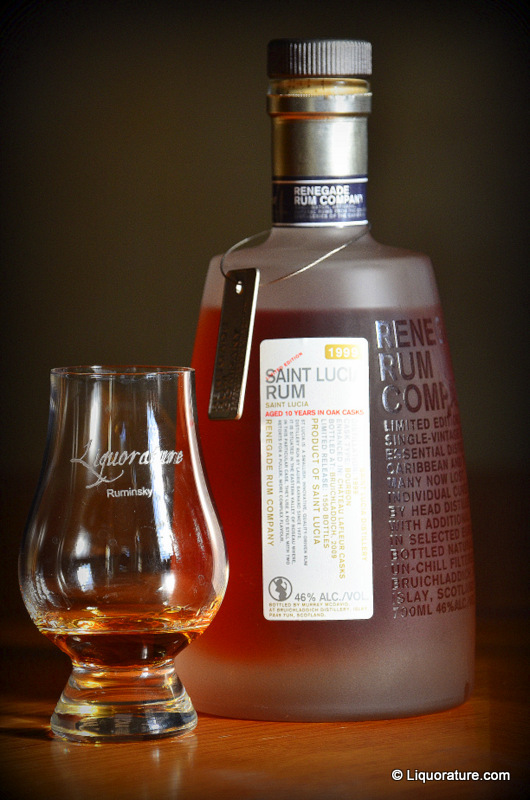 They fail to craft a consistent rum from one bottle to the next (the variations in the line are occasionally awe-inspiring) but they know that the best way to approach making any of them is with a bold and unapologetic take-that attitude that finds ‘em swinging — hard — for the fences, every time, with a sort of giddy, joyous abandon one simply has to admire. So, the end product may not always be what we expect…but man, it’s like watching a Sobers, Worrell, Lloyd or Lara on a weird day. It’s never, ever boring. One of the acclaimed limited edition bottlings from Bruichladdich, it will remind you of a dry rye, and is a rum worth your buck; deep, tasty with complex flavour and taste. 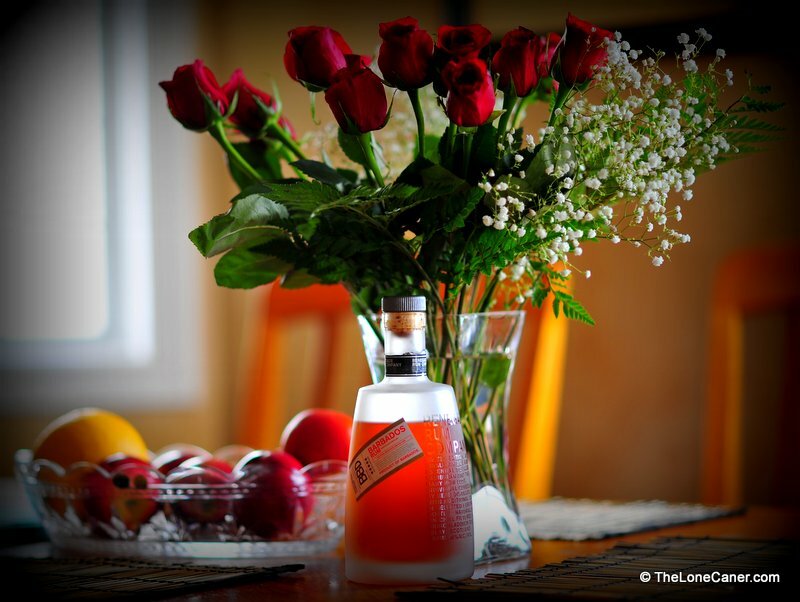 It’s long lasting on the palate, but not in the company of your friends. A few days ago I was on the Ministry of Rum, and a guy there proudly announced that he had just bought all twenty bottles of the current Renegade line. All twenty!!? I’ve only ever seen four in this whole country. You can imagine with what envy I regarded that little announcement. I mean, I have relatives in Deutschland and I suppose I can get a few that way, but it just strikes me as wrong somehow that I can’t get a larger selection of these intriguing rums in the only unregulated province in Canada. Ever since I saw the first sand-blasted bottle of the Renegade line with its metal dog tag, I’ve admired the product line. Not always appreciated it as much as I should have (chalk that down to lack of experience). But definitely admired the concept: a whisky maker with a great reputation making rums. 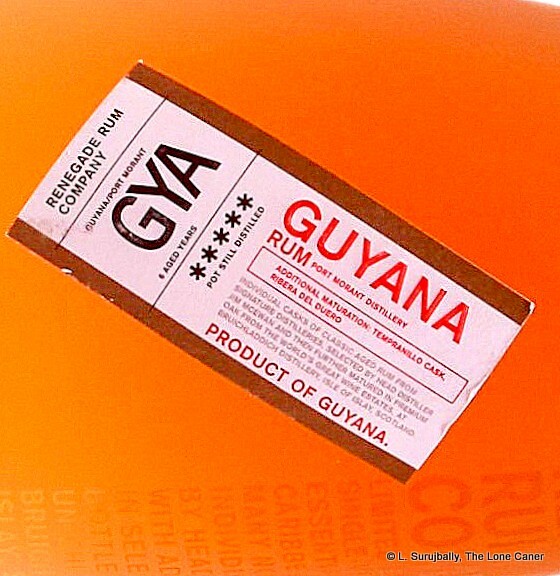 And pretty interesting rums at that – rums that strike a newbie rum lover raised on the Bacardis and Appletons as dry and not as sweet as he’s used to, perhaps…but rums that grow on you after a bit, like this one and all its brothers, sisters and cousins did. The maturation in bourbon casks is only part of the equation, because the Grenada 1996 is then finished in Haute Brion casks, and it shows. 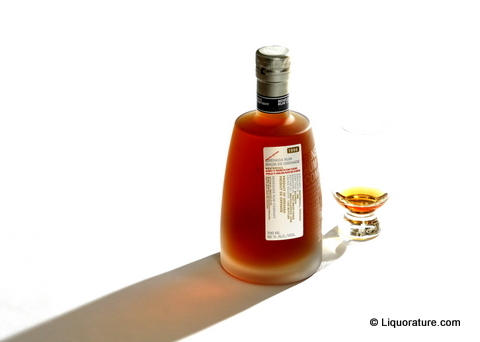 The nose was just heavenly: toffee, pineapple, caramel, come first, with – what was that? cheddar? – citrus and burnt sugar emerging later to mix gently with a marshmallow softness that tamped down the spirit burn of a 46% spirit. I’ve never been convinced that a spirit should be 46% or greater, though I’ve had my share of cask strength rums, and the occasional whisky: still, I might want to make exceptions here or there. The extra strength imparted a deeper and more complex flavour to the aroma than I had expected, and you’d probably like it as long as you’re prepared to tolerate a little more heat and spice than normal at the inception. I seem to recall I made a similar observation about overproofs once or twice. Spice or not, heat or not, I simply could not complain about the flavour and feel on the tongue. The thing felt like a rye, though a bit drier, just enough sweet, and it leaves a coating on the tongue that is oily and long lasting (this is probably a direct result of the policy of un-chill filtering which leaves the taste-enhancing oils intact in the spirit) . There’s leather, a hint of cedar wood and always, that slightly floral and cherry hint descending from the Haut Brion casks (I may be reaching here). And I got breakfast spice, cinnamon, caramel and chocolate; yes it’s spicy and burning on the fade and even before, but in a good way. Curt and I had a long discussion on what heat, spice or burn actually mean in the context of a review, how it should be rated and to what degree it impacts on one’s enjoyment. In this case, I’ll just say that it was mellow and deep and not remotely reminiscent of my wife giving me a hard time after an all night bender when I pour myself through the door and can’t remember the names of the kids. Seriously. Cask finishing seems to be an upcoming thing right now. Of course, whiskies have always had variations which were matured in (for example) sherry casks, and rums have a few courageous souls here and there who do a double ageing, once in oak and once in something else (Ron Zacapa 23 is a good example of this idea). But Murray MacDavid of Bruichladdich may have taken the concept a few notches further up the scale by buying up very specific estates’ rums and then enhancing them in some pretty awesome wine casks. 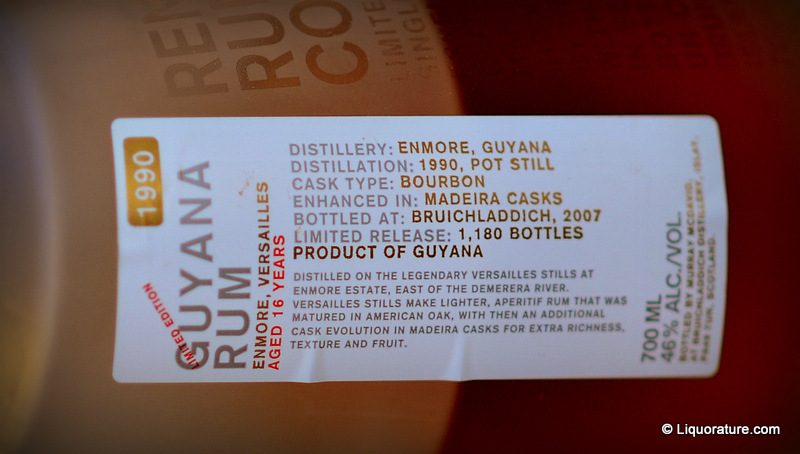 This Grenada variant was completed in Haute Brion casks; it comes from the Westerhall distillery, active since 1766, and which these days makes only 3 barrels a day from a copper pot still. The stock was bought and then the casks shipped to Islay for ageing and final completion (and I’m still kinda pissed that the Hippie, when he was there, utterly ignored this aspect of Bruichladdich’s production and brought back no info on their philosophy regarding it). It’s pretty damned good, is a one line summary. 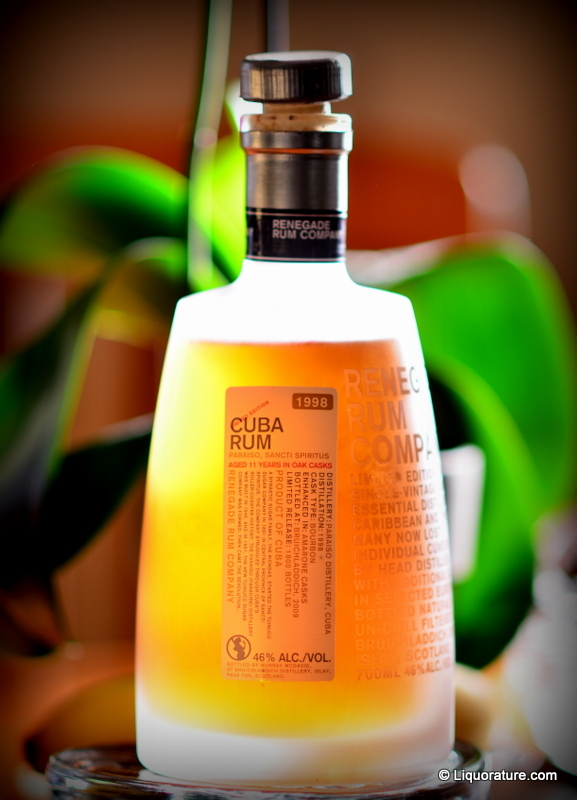 I think a sweet-toothed rum lover such as I has to grow into the Renegade rums. 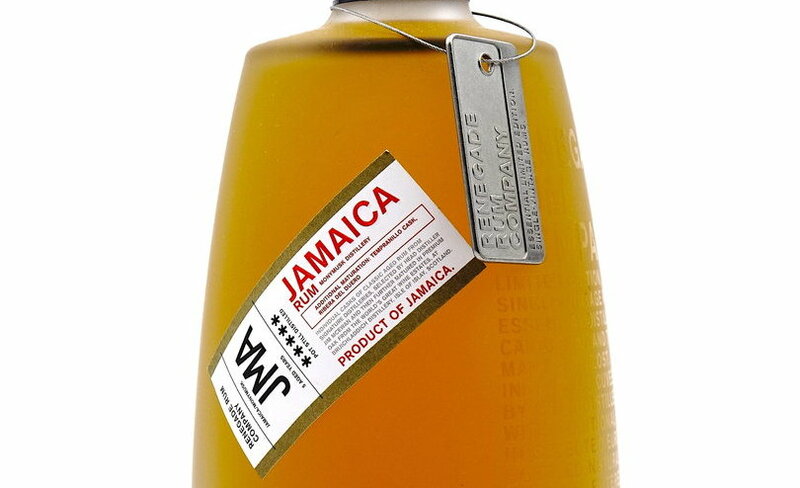 A year or two back, I reviewed two other variations, sniffed rather snootily and said the rums were too much like whiskies. What a difference experience and the passing of time makes. The Renegade Grenada edition has shown me something of how different a rum can be from my own preconceptions, and yet still be enjoyable. At ~$60-80 Canadian, it isn’t really for beginners wanting their first intro (my opinion). But it – and its nineteen relatives in the line – may be the bridge for the truly interested person to broaden his palate to more interesting and offbeat variations…to the point where whiskies actually start to look really appealing and worth an occasional try. Oh crap…Maltmonster and the Hippie are going to hang me with that. 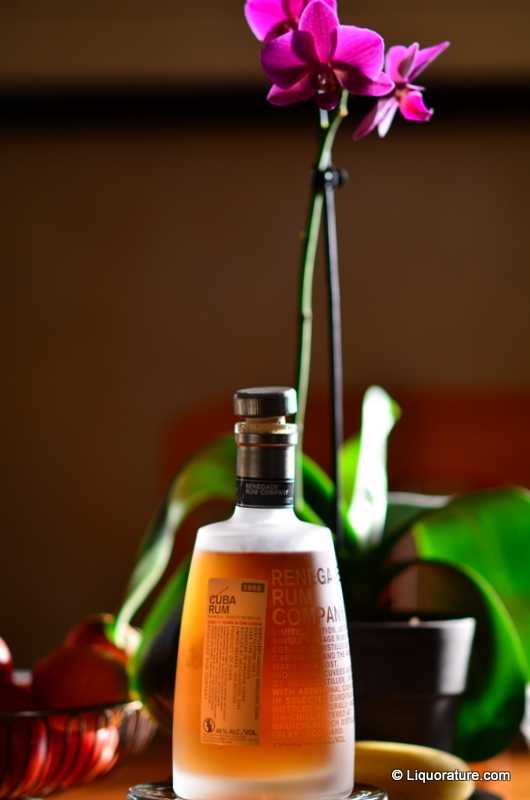 I’m not always and entirely a fan of Renegade Rum, but will unhesitatingly concede that they are among the most interesting ones currently available, and deserve to be sampled. Un-chill filtered at the Bruichladdich Distillery on the Isle of Islay in Scotland, these limited editions have the potential to popularize single-vintage rum if one can get past the whiskey-like finish that jars somewhat with what I expect a rum to be. 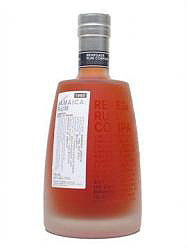 My research notes that Renegade Rums trawls the Caribbean estates for traditional single distilleries that are no longer in operation or have some stock to sell, and purchases supplies from places like Guyana, Panama, Jamaica, Barbados, Grenada, and Trinidad — then completes the maturation in oak bourbon barrels, or those which have held madeira, port or wine. This impacts the taste quite significantly, I’ve found, but more than that, it makes the release extraordinarily limited: this one from 1991 was only 1380 bottles. 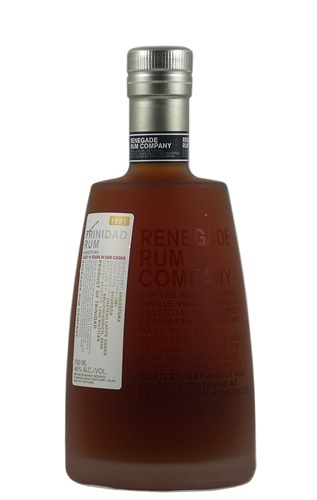 I’m unclear how old the 1991 Trinidad rum actually is, since it is advertised as 17, but 16 is printed on the bottle. Whatever the true age, the palate on this 46% (92 proof rum) is uniformly excellent, with notes of port and oak and a very subtle taste of caramel. The finish is not as sweet as I would expect, and does not last as long or as smoothly as a 16 year old rum perhaps should, though hints of burnt sugar and apples can be discerned (this is probably from the French port barrels used for the final ageing). What stops this from being a stellar review is simply the way the somewhat harsh and short finish takes some getting used to – when I first tasted this, I grumblingly compared it to a whisky. See, I’ve been getting sotted on the grog for more than half my life, and us West Indian hicks don’t particularly care to have our national drink turned into a Scottish home brew. * My good friend Keenan, horrified at my cautiously tempering the good stuff with coke (I was just checking, honest), snatched it away, proceeded to drink it with bowed head and misty eyes on the rocks, complimented it most fulsomely on its character, and disdained the cheap Lambs spiced rum (3rd tier, really) I was happily getting smacked on. I may not compliment Renegade’s creation as much as he did — he had to be dragged off, screaming “Leh we tek wan moh shot, bai” when the evening was over — but at least one person really really appreciated it, and the bottle I have will be kept for his use when next he is let out to play.